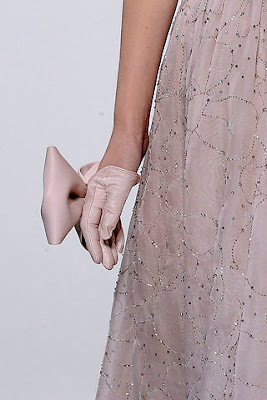 Finally got around to checking out the couture collections (I know, I know...) and couldn't help but love these ridiculous half-gloves that went down the runway at Valentino. 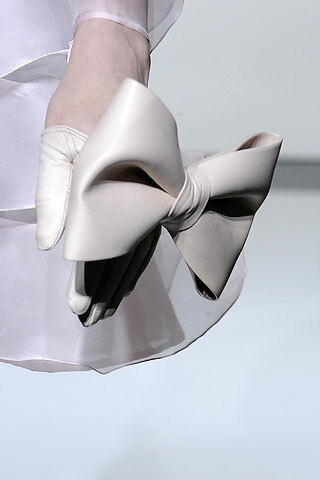 A leather half-glove is totally badass motochick, but the huge bow is such a surprise twist on SUPER femininity that they become something else entirely. 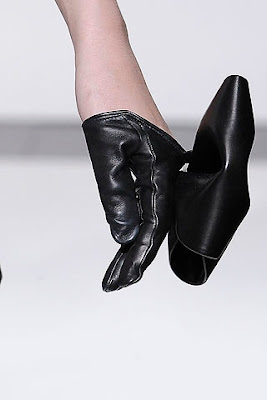 If the leather was stiff enough, they'd make the most fabulous self defense accessory ever. Maria Grazia Chiuri and Pier Paolo Piccioli are doing a really incredible job of injecting a bit of youth to the Valentino look and I like it! HA! love that post title !! And the gloves are pretty cute too, spose..
and i like the stuff you put on here!